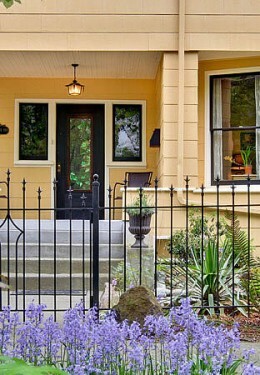 The 11th Avenue Inn Bed and Breakfast is located on a tree-lined Capitol Hill side street, one mile from Downtown Seattle. Downtown is a pleasant 20-minute walk down Pine and Pike Streets – streets popular for their restaurants, art and performance spaces, unique shops, and people-watching. We are one block from a park and bus lines to Downtown. 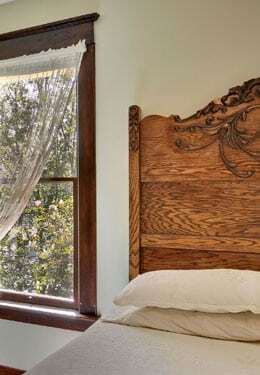 Each guestroom has a queen bed with a cotton quilt,down blanket, and pressed cotton sheets. A few of our rooms have two beds. 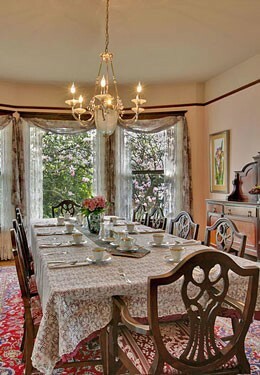 The guestrooms have private bathrooms, Oriental rugs, antique furniture, and original wood floors and detailing. Our rates include free parking in our parking lot, full hot breakfast, and Wi-Fi.